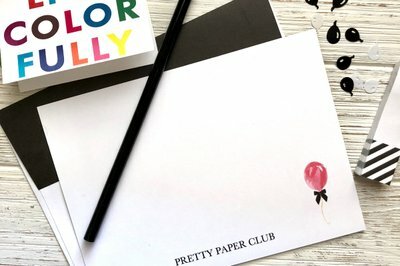 Enter your email address below to receive a notification when Pretty Paper Club starts accepting new sign-ups! 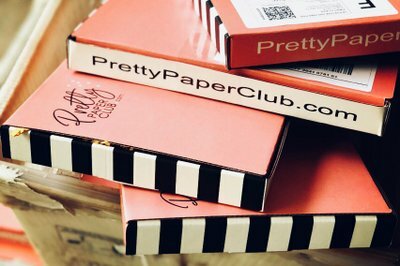 Enter your email address below to receive a notification when Pretty Paper Club is accepting new sign-ups again. YAY! 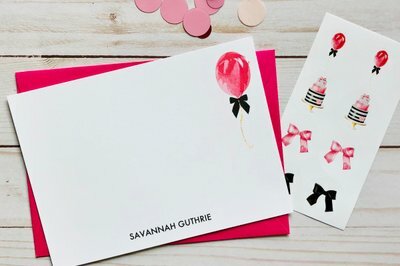 Use code MOMSDAY for 10% off your order! 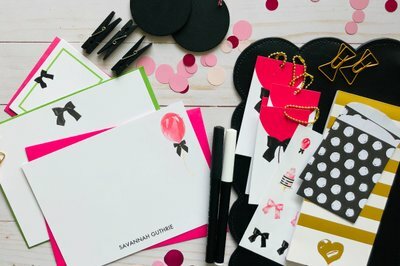 Pretty Paper Club delivers custom stationery to your door every month. Renewals take place on the 1st of each month and ship around the 20th. You are welcome to skip or cancel anytime. Gift Memberships do not automatically renew. VOTED PERFECT GIFT for women, mom, wife, friend! VOTED PERFECT GIFT for women, mom, wife and best friend. 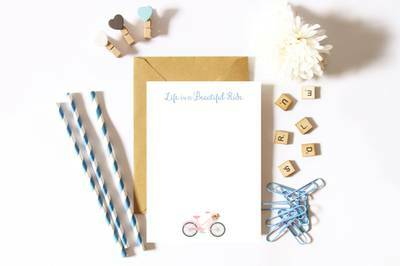 Pretty Paper Club delivers custom stationery to your door every month. 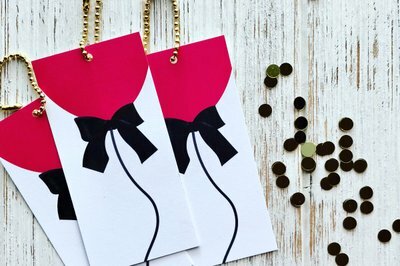 We ensure that every set you receive will not only be personalized, but will coordinate with the rest of the items in your box! Run to your mailbox with excitement each month when your package of paper fun arrives! 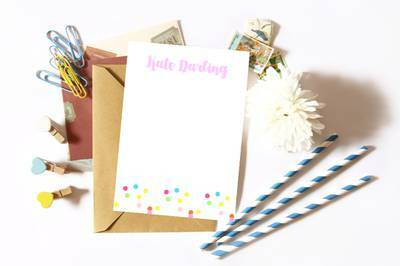 Accessories can include: gel pens, pencils, washi tape, stickers, funky paper clips, sticky notes, tags, labels, and more! 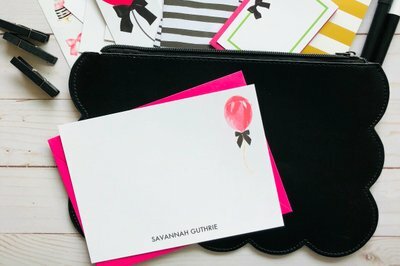 I have really enjoyed having creative, personalized cards to send to friends and family and to place in gift bags. Thank you! I really like the quality paper and uniqueness of the cards and labels. Thank you!